CALL TODAY for a FREE Estimate or Send Us a Request Today! 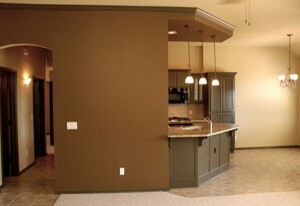 It's the details that make South County Drywall Inc. the company you want customizing your home. The caulking, priming and preparation that goes into every painting project. The thorough cleanup when the work is complete. Our Painting Process from Start to Finish we make sure your home stays free of paint and dust, while we paint your home. Tape off and cover all furniture, personal belongings and floors with plastic and drop-cloth paper. Painters all wear booties to ensure your home stays clean and free of unwanted paint and dirt. Use one coat of primer for all jobs and two coats of paint to ensure even coverage. Painters remove all plastic, tape and drop-cloths and vacuum at the end of each day. Inspect job once work is completed for final approval. Special care is always taken to protect your house and belongings; all furniture is double masked and placed in a secure area. It is not necessary for the homeowner to remove large heavy objects. The work crew will either work around large heavy pieces of furniture, or completely cover them. Rooms that are not being painted are properly masked off and all vents are sealed. We always strive to complete jobs in a timely manner. We understand the importance of returning your newly painted home to you! We use high quality painting products for all of our jobs to ensure great coverage and a quality finish. Call Us Today to help you choose the best colors for your next painting needs.